An important question asked by individuals after being hurt at work is “what kind of benefits will I receive?” This varies depending on your actual injury, how severe it is, and other pertinent factors. However, you can generally expect that if eligible, you will receive these four types of benefits. Many people are surprised to find out that they don’t receive their full pay in workers’ compensation benefits after being hurt on the job. 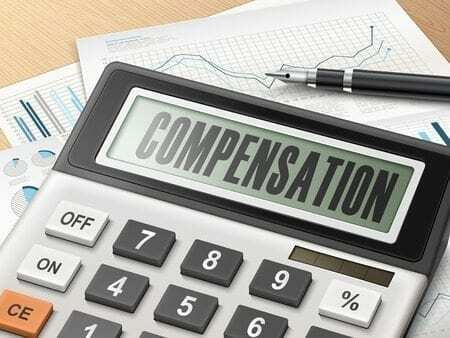 Workers’ compensation is typically about two-thirds of an employee’s full pay. But it should also factor in PTO, vacation, bonuses, commissions, and other monetary benefits that an employee would normally receive as part of their pay if they were working. When approved, a workers’ comp benefits recipient can expect any medical costs directly related to the accident to be paid for by workers’ compensation insurance. You may have to see a doctor of your employer’s choosing. However, you should not be responsible for medical care obtained specifically for the injury that occurred while on the job. Physical therapy or rehabilitation is often required for serious injuries that happened at work. Many people are unable to return to work without some sort of rehabilitation to regain full function. In fact, in some cases, even with rehab and physical therapy, only partial function is able to be regained. Regardless, the physical therapy needed immediately after the incident and in the future should be covered by workers’ comp. If the work accident killed someone, their immediate family members may be entitled to survivor’s benefits through workers’ compensation. This can include funeral expenses and lost wages, however, typically does not account for pain and suffering or loss of consortium like civil/personal injury suits do.